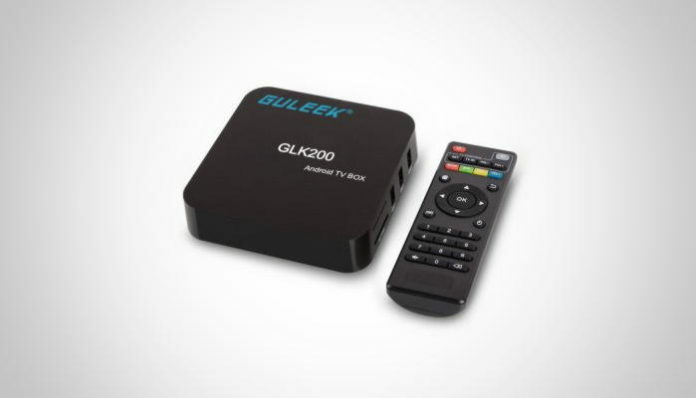 The GULEEK GLK200 is a new Android TV box powered by the new Amlogic S905 and runs Android 6.0 Marshmallow. The device’s specifications reflect the device’s budget price tag. The GULEEK GLK200 features 1GB of DDR3 RAM, 8GB NAND storage, 2.4GHz wireless, and 100Mbps Ethernet. There’s no Bluetooth according to the official spec sheet which is a disappointing omission. Inside the box, you’ll get the GULEEK GLK200 Android TV box, power adapter, IR remote control, HDMI cable and an instruction manual.